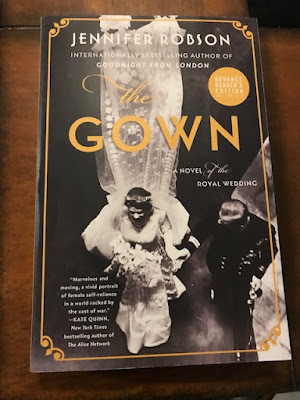 Aimie K. Runyan has become one of my go-to authors when it comes to historical fiction off the beaten track. Those women of history that left marks we rarely heard about in history class. She researches and writes compelling stories that educate me at the same time as keeping me captivated, plus you can feel her passion for the story in her telling. 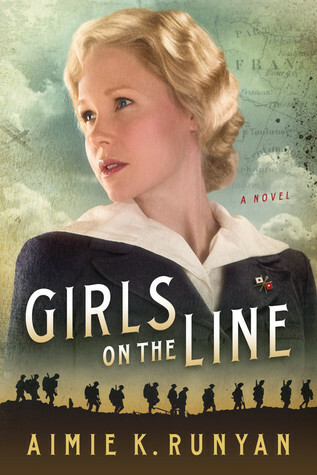 Girls on the Line takes place in World War 1 and told from the POV of Ruby a young woman wanting to do her part (reasons I won't divulge) and not states side but in France. Her journey across the ocean is more than just a change of location but an inner journey of self-discovery, of self-worth and discovering who she is. There is much she must overcome and it isn't an easy trek. Girls on the Line is a story of friendship, duty, trust, and family, with some love mixed in. The telling had me right in the action feeling the heartache and struggles taking place. Ruby Schmidt has the talent, the drive, even the guts to enroll in art school, leaving behind her childhood home and the beau she always expected to marry. Her life at the Academy seems heavenly at first, but she soon learns that societal norms in the East are as restrictive as those back home in West Texas. Rebelling against the insipid imagery woman are expected to produce, Ruby embraces bohemian life. 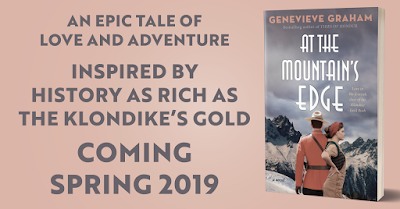 Her burgeoning sexuality drives her into a life-long love affair with another woman and into the arms of an Italian baron. With the Panic of 1893, the nation spirals into a depression, and Ruby’s career takes a similar downward trajectory. After thinking she could have it all, Ruby, now pregnant and broke, returns to Texas rather than join the queues at the neighborhood soup kitchen. She discovers her life back home is as challenging as that in Philadelphia. 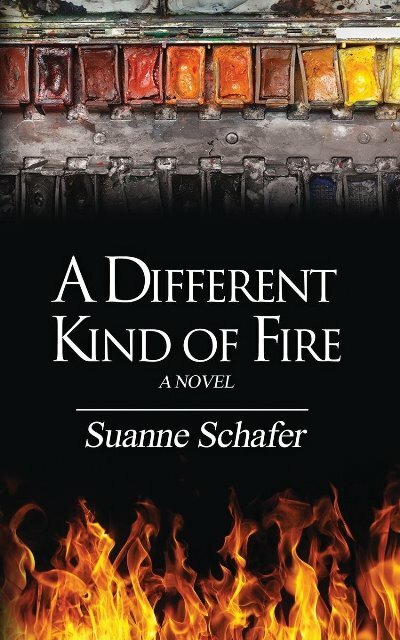 A Different Kind of Fire depicts one woman’s battle to balance husband, family, career, and ambition. Torn between her childhood sweetheart, her forbidden passion for another woman, the nobleman she had to marry, and becoming a renowned painter, Ruby’s choices mold her in ways she could never have foreseen. 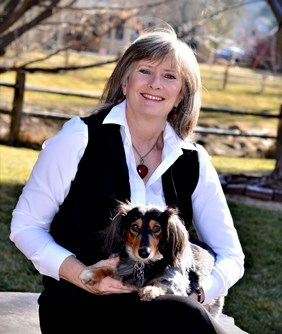 Currently, Ms. Michaels lives in Boise, Idaho with her husband and two furry creatures who are unclear on the concept that they are just dogs. In addition to writing, she loves to read and travel. A dabbler in fabric art, she also plays bocce in a summer league. 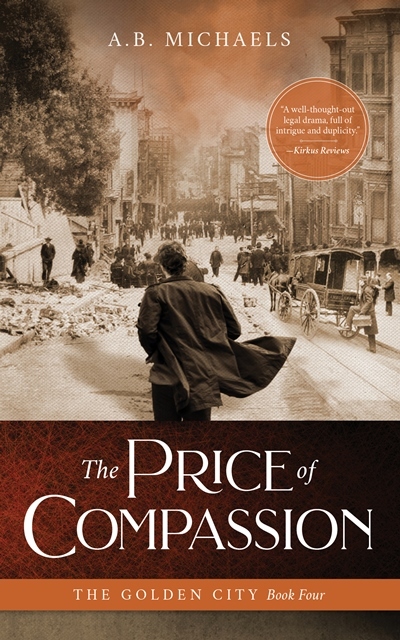 Her latest stand-alone novel, "The Price of Compassion," is Book Four of the "Golden City" series. It's scheduled for release this summer and will be followed by Book Five, "Josephine's Daughter." During the Blog Tour we will be giving away a $25 Amazon Gift Card! To enter, please enter via the Gleam form below. Giveaway Rules – Giveaway ends at 11:59pm EST on November 12th. You must be 18 or older to enter. – Giveaway is open to US residents only. – Only one entry per household. 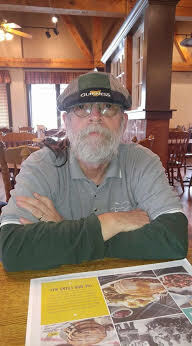 – All giveaway entrants agree to be honest and not cheat the systems; any suspect of fraud is decided upon by blog/site owner and the sponsor, and entrants may be disqualified at our discretion. – Winner has 48 hours to claim prize or new winner is chosen. I am so excited to be part of this cover reveal. 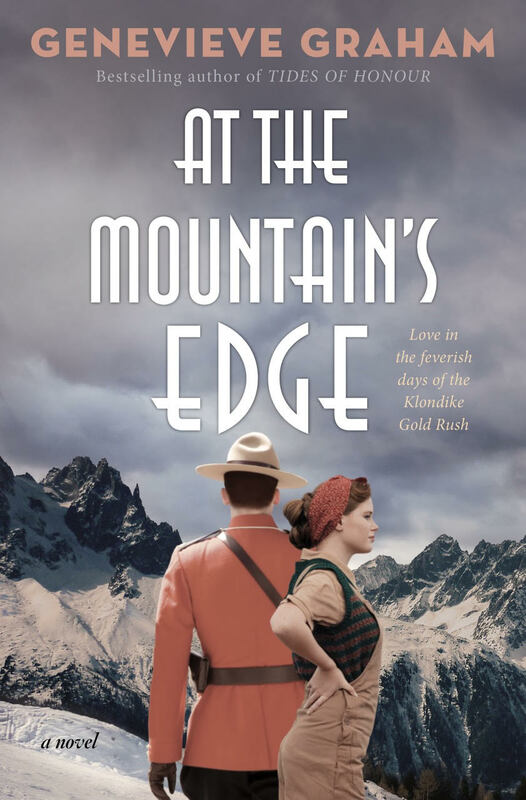 Canadian Historical Fiction is my thing and Genevieve Graham has a passion for the history of this great country and it shines through in her writing. Plucky and ambitious, Marilla Cuthbert is thirteen years old when her world is turned upside down. 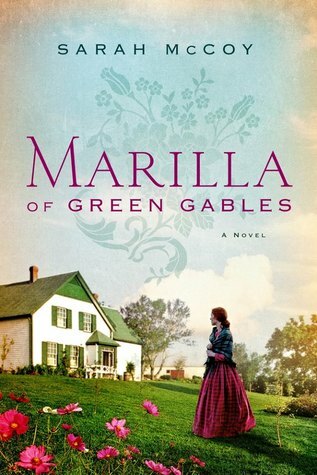 Her beloved mother has dies in childbirth, and Marilla suddenly must bear the responsibilities of a farm wife: cooking, sewing, keeping house, and overseeing the day-to-day life of Green Gables with her brother, Matthew and father, Hugh. In Avonlea—a small, tight-knit farming town on a remote island—life holds few options for farm girls. 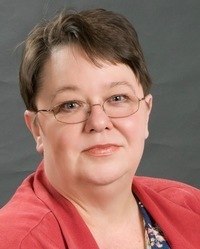 Her one connection to the wider world is Aunt Elizabeth “Izzy” Johnson, her mother’s sister, who managed to escape from Avonlea to the bustling city of St. Catharines. An opinionated spinster, Aunt Izzy’s talent as a seamstress has allowed her to build a thriving business and make her own way in the world. What was Green Gables like before Anne showed up? How did it get the name Green Gables? Sarah McCoy answers these questions and more. 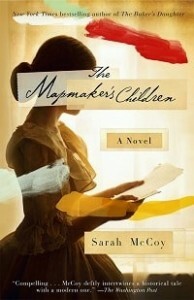 This is my second book by McCoy, The Mapmaker’s Children being my first. It’s a gutsy move if you ask me to dive into the well-loved world of Green Gables. People adore Anne, Prince Edward Island is a favorited holiday destination for many fans and the following is enormous. But what about Matthew and Marilla, wouldn’t it be great to know their story? That’s exactly what the author did here. The story of Marilla, Green Gables, and Matthew, told in a voice true to the feel of Anne's stories and I really enjoyed reading it. I was transported to Avonlea with its charm, traditions and enticing scenery. Told from Marilla's point of view, and beginning when she is only 13 years old, I was able to connect and watch her grow. Life wasn't easy during that time period as political strife affected this little island also. What I loved also was St. Catharines being the home for Aunt Izzy, that's where I live (well really close) and the historical elements here have me looking into the local history. I loved the author's note at the end, what prompted her to write this book, the research and respect she paid to the community and legacy of Anne are evident. 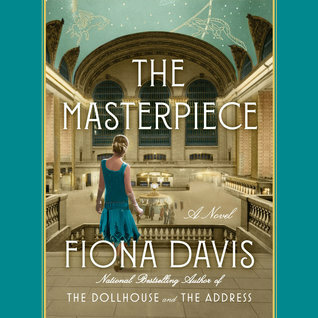 Definitely a book I recommend to fans of Anne of Green Gables and even those that aren't (I'll confess I've only read the first book in series). Thanks to the publisher for an advanced copy (via Edelweiss) in exchange for honest review. Last month I had the awesome opportunity to share High Tea in Toronto with the talented Jennifer Robson where I received an ARC of her new book The Gown: A Novel of the Royal Wedding. 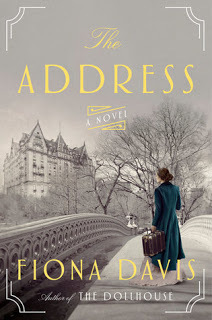 Courtesy of Harper Collins Canada I have an ARC to give to one of my lucky readers. I am saving my copy for a holiday in 2 weeks time. If you haven't read any Jennifer Robson books, you are missing out. Scroll down to bottom of this post for entry details. “Millions will welcome this joyous event as a flash of color on the long road we have to travel.”—Sir Winston Churchill on the news of Princess Elizabeth’s forthcoming wedding. Open to those in Canada/USA/Europe. Must respond within 48 hours of receiving my email (remember I am going on vacation). "Life is an adventure and anything in the world is possible - by will and by luck, a moist carrot, a wet nose and a slice of mad courage." 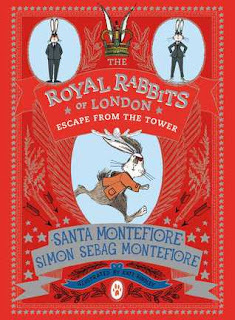 It was through searching for more Santa Mortefiore books that I discovered this series for middle grade and younger (even older). Call this a short and sweet review. Perfect for the targeted audience with adventure and suspense. The illustrations were great connecting the reader and characters. You are stronger than you think, courageous when you don't feel like it. Yea not just a good story but good morals for little ones. I very rarely read reviews before starting a new book, there is just too much of a chance for spoilers. 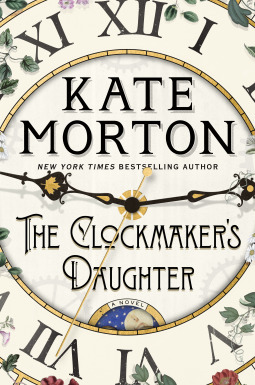 That being said, it wasn't hard to hear comments (via social media) about The Clockmaker's Daughter, how it was garnering mixed reviews made me rather curious and a little nervous to begin reading. I will confess right off the bat that I struggled to get into this book, but it was an 'it's me not you' situation. My anticipation just got the better of me, times were hectic and yea to sit and read caused issues - nothing to do with the book. So I did the thing I've been doing a lot of the past few months and that is switching to the audio version for a bit. Yea it came out on Audible before the print copy. Did the audio cure my struggles? You bet it did!! This is Kate Morton, one of my go-to authors, read without checking out the blurb. Joanne Froggatt was the reader and she did a great job of bringing this book to life. I did switch back to the print copy for the last third. There are multiple pov's here as The Clockmaker's Daughter travels across time to reveal what happened back in 1862 at Birchwood Manor. You could almost say the Manor was one of the characters playing a pivotal part through the years. There is a lot of years between 1862 and the present day, also many characters to remember. That I think is a Morton trademark because she can do it smoothly in a mesmerizing way. Her stories are multilayered and in this instance, it was the Manor revealing its history over the years. The added unknown voice was interesting, spicing things up a little. 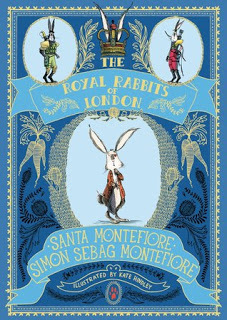 While this isn't one of my favorite Kate Morton books (that belongs to The Secret Keeper and The Forgotten Garden) I still enjoyed the ride. ARC won from the publisher. 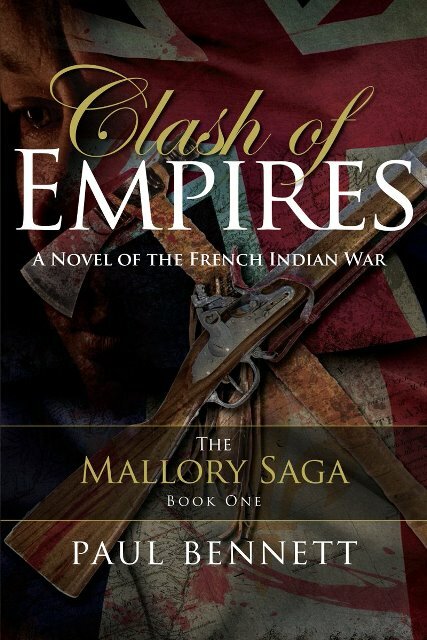 For more information, please visit the Mallory Saga Facebook page. You can also find Paul on his Blog, Twitter, and Goodreads.